Two weeks ago, we went on an expedition…. where you may ask? ……… to AUSTRALIA! …. no packing… no passports, no awkward moments while TSA searches your carry-on and steals your favorite hand lotion…… we only had to “Download N Go”……. I have always wanted to visit this “land down under” ever since the movie “Crocodile Dundee”. (I think I may have just dated myself with that comment) My son knew next to nothing about Australia, and could barely find it on our globe. After a week working through Expedition Australia, he will gladly tell you all he has learned. Not only can he show you where Australia is located, he knows about it’s climate, major geographic areas, how it was founded, it’s national holidays, currency, and of course he learned about The Great Barrier Reef. He even studied the different marsupials that live on Australia and Tasmania. It was an action packed, fun filled week! Expedition Australia is a 103 page E-book, that is a collaborative venture between The Old Schoolhouse Magazine and Amanda Bennett. It can be found in The Old Schoolhouse Store, in their ‘Download N Go’ section. This is geared to work best within grades K-4, and at a mere $7.95, is worth every single penny. It downloads right to your computer after you purchase, there is no need to wait for anything to ship! It is very much worth the investment, and can be referred to again and again as your child grows. Created to be both a lapbooking study as well as a notebooking study, it is very well organized into daily segments, and has hyper-links to other sections of the book which contain the lapbook components. 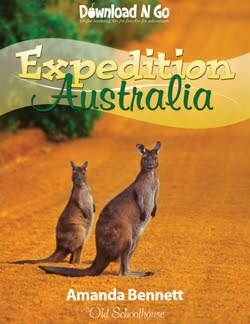 Expedition Australia is one of many E-books, in the Download N Go series, that follow this format. You can pick from their Welcome Spring bundle, a pick your own bundle, a whole semester of study, or even a whole year! ( the whole year option is the BEST value! ) I think that you could even incorporate this study into work for your older student. They could certainly work on their writing and research skills using this study as a starting point. When I read through the book before we started, I noticed that it gave additional reading books we could use with each day’s study. My library has an on-line reservation system, so I brought that up, and looked up all the books the authors had listed. Out of the 25 books that were listed, I was able to obtain 6 from my local library system. We got a very nice cross section of books for all 5 days, some were fun stories, and others were more informative. 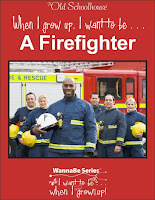 The E-book has links to all of these books for purchase, and if your budget can support the expenditure, I would recommend all of the reading material. There are resources that are contained in this book that will keep you busy for well past the week of study it is designed for. Each day we used this book as our complete curriculum. (Well, we kept doing our regular math too, so we didn’t get behind). It does contain some math within each day, and it was good reinforcement for units of measurement, temperature and time. Each night I printed out the pages for the next day, my son would read from the page, and I would read the material from the computer screen. When there were links to videos, or to more information on a given subject, he would come over and watch it, and we would take turns reading it. We used the comprehension questions for each section as our handwriting practice; reading and words of the day, as our language arts and spelling; and the drawing exercises for our art. Science was well covered by all of the wonderful animals of Australia. The remainder of the E-book would fall under the social studies, history or geography category for our day’s work. It took us about 3 hours to complete a days worth of work with a few breaks scattered in for a very active 7 year old boy. Some unit studies are books or CD’s that you receive and they are all inclusive, meaning that the information you will study has been gathered, and written out in a narrative form and you study that material. 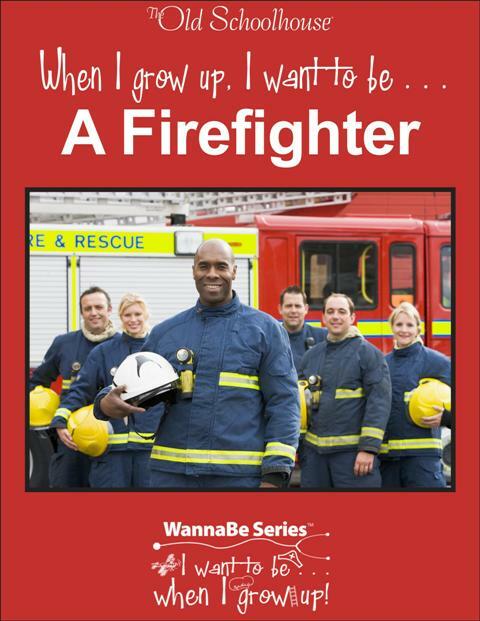 This E-book differs from that style. Most of the information that you get to fill out the notebook portion as well as the individual components of the lapbook, come from the internet links contained in each day’s work. You really need to be at a computer for this E-book to function as it is intended. This was not a problem for us, we use the internet for many parts of our homeschooling day, but if you do not have a computer to use, you need to be aware of this feature. My son really enjoyed learning all about Australia. His favorite thing was a link to study more about the Great Barrier Reef. It was very interactive and I think he had me scroll over every part of it at least six times to make sure we didn’t miss anything. Since it was our first lapbook, I like that we now have a couple of keepsakes from our study for years to come, and to show Grandma the next time she is up to visit. I recommend this study! Particularly to anyone who is interested in trying out lapbooking or unit studies for the first time. You will not be disappointed!